A seven-day teachers' strike at the second largest school district in the nation ended Tuesday with the United Teachers of Los Angeles and the Los Angeles Unified School District agreeing to a deal that gave educators much of what they wanted, but not everything. Tuesday night UTLA president Alex Caputo-Pearl said a "vast supermajority" of members voted in favor of the contract, but that the results wouldn't likely be formalized until Wednesday. He said his members would be "back to school tomorrow." At the beginning of the 35,000-member union's strike, Caputo-Pearl called it a "fight for the soul of public education." 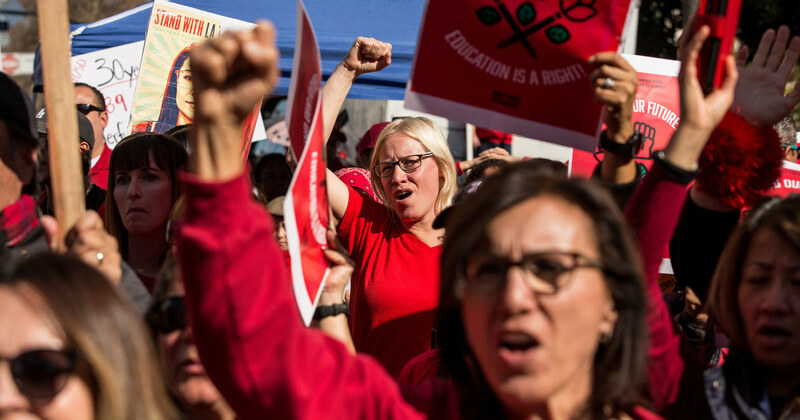 The UTLA might not have clearly won that fight for the soul of public schools, but the contract could be a sign that teachers are having a greater impact on education spending and policy. The district was quick to spin the deal as a win for all. The agreement serves to "strengthen the voice of educators and provide more opportunities for collaboration for all who work in our schools," Superintendent Austin Beutner said. The National Education Association, the largest national union for public school educators, said the contract was a victory for public schoolchildren. A 6 percent pay increase that includes 3 percent in additional retroactive pay for last school year and 3 percent for this one. The union asked for 6.5 percent.